The largest component of our daily energy budget is resting metabolic rate. As I discuss in my video Slowing Our Metabolism with Nitrate-Rich Vegetables, the direct effects of physical activity are relatively small compared to how many calories we expend just living and breathing. Now, during something like training for the US Army’s Special Ops or climbing a four-mile-high mountain, we may burn 4,000 calories a day. For most people, however, the calories we burn just lying around existing exceeds normal physical activities. Thus, our resting metabolic rate can have implications for controlling our weight. Researchers have shown that dietary nitrate found in beets and green leafy vegetables improves the efficiency of the little power plants within our cells, boosting athletic performance by extracting more energy from every breath. So, if we eat a lot of vegetables, might it slow our metabolism since our body can function so much more efficiently with the calories we give it? Indeed, researchers found that after giving people a dose of nitrate equivalent to a few servings of spinach or beets, their resting metabolic rates slowed on average about 4 percent. That’s nearly a hundred calories a day. If our bodies burned that many fewer calories each yet we didn’t eat any less, couldn’t we could put on a few pounds? Of course, green leafy vegetables may be the healthiest food on the planet, so we shouldn’t decrease our greens intake to try to control our weight. What’s going on? Researchers think perhaps it was a way our body evolved to use vegetables to help preserve energy during lean times in our ancient past. That is, slowing our metabolism may have benefits for our longevity. What else similarly slows our metabolism? Caloric restriction, such as eating every other day. This may be one reason why caloric restriction is associated with a longer lifespan in many animals. Maybe like a candle, burning with a smaller flame allows us to last longer. It’s hard to walk around starving all the time, but it’s easy to replicate that same metabolic benefit by eating a big salad every day. This may be why eating leafy green vegetables is among the six most powerful things we can do to live longer, along with not smoking, not drinking heavily, walking at least an hour a day, getting seven hours of sleep a day, and achieving an ideal weight. Doing even just one of these six may cut our risk of premature death by around 20 to 25 percent. Don’t want to carry beets out onto the track with you? Try fennel seeds: Fennel Seeds to Improve Athletic Performance. What else can greens do? Check out How to Regenerate Coenzyme Q10 Naturally. Are there some whole foods that act to ‘speed up’ metabolism? 100 calories per day equates to about a pound per month or 12 pounds per year. For someone who is already limited to eating a smaller caloric amount, this is not great news. So true Ada! An efficient metobolism is something that only Dr Greger could get excited about lol. I don’t want another 20 yrs of starving and pudgey ! Too funny. Thank you Psych MD for your post on capsaicin, and the post below. The brown fat thing is really interesting, the hot and cold temps, all of it. It is interesting that these things increase metabolism and longivity ie the opposite of Dr Greger’s example of leafy greens above. I was taking steam baths/cold showers to increase vagal tone, but maybe I am reaping other benefits as well. Re: vagus nerve stimulation, here is one video where Dr Greger discusses some of the benefits https://nutritionfacts.org/video/how-to-strengthen-the-mind-body-connection/ Other videos are listed under ‘Doctor’s Notes’. Capsaicin. He has a video. I remember reading somewhere that capsaicin works only in folks who do not already eat spicy peppers or hot sauces or in scientific terms are capsaicin “naive”. If a person grew up habituated to capsaicin, eating more will not boost your metabolism. Pity. I looked up the study on capsacian and fat loss…and there is also a genetic component. And sad to say even teh placebo group loss weight (more than treatment group) because they were all aksed to eat 300-500 calories less in a day. Teh capsinoid group did lose more abdominal fat though, at least the ones with the right genetics. A single oral ingestion of capsinoids increases energy expenditure in human individuals with metabolically active BAT, but not those without it, indicating that capsinoids activate BAT and thereby increase energy expenditure. This finding gave a rational explanation for discrepant results of the effects of capsinoids in the previous studies. Human BAT may be largely composed of inducible ‘beige’ adipocytes more than typical brown adipocytes because its gene expression patterns are similar to beige cells isolated from murine white fat depots. In fact, preadipocytes isolated from supraclavicular fat deposits – where BAT is often detected – are capable of differentiating into brown-like adipocytes in vitro, providing evidence of inducible brown adipogenesis in adult humans. As human BAT may be inducible, a prolonged ingestion of capsinoids would recruit active BAT and thereby increase energy expenditure and decrease body fat. In addition to capsinoids, there are numerous food ingredients that are expected to activate BAT and so be useful for the prevention of obesity in daily life. The real thing for weight loss is to slow down your celullar metabolism with good whole plants food and to increase your overall metabolism efficiency with bodyweight training. What diminishes lifespan is the mTOR pathway associated with protein uptakes deregulation caused by animal proteins intake and what extends or at least makes it healthier is the mTOR pathway associated with endogenous protein synthesis, activated by physical exercises. Liked the burning candle with a smaller flame analogy. I’ve always held that higher metabolism means shorter telomeres. In my case, lower metabolism rates means reduced bodily functions and less hunger as the body adjusts to its fewer needs with more efficient metabolism. Not feeling hungry all the time is a nice perk Lonie! Lucky you! Barb, you’ve caused me to give this more thought. That is, I pay more attention to nutrition from my food (and supplemental) intake. Now I’m wondering if a more nutrient dense diet leads to being less hungry? How can I fit in my daily dozen if I only eat every other day, or only a big green salad for lunch? Robert Wilcox, I (and, if I infer correctly, Barb) think that this is horrible news! Although I’m one of the peeps (!) you mention, the last thing I want to do with regard to weight is “gain a few pounds.” Lengthening telomeres and living longer might sound great news to some, it doesn’t at all to me if the slowed metabolism means having to eat increasingly less than I already to lose (and eventually maintain) my weight. Am I missing something in my somewhat woeful interpretation of today’s blog entry? I feel the same way. My husband has gained several pounds around the mid section since going vegan and doing intermittent fasting 3 days a week. I’ve also struggled with weight gain. My parents were thin and lived to 86 and 91 eating fish, eggs and meat. I’m the first vegan in the family and the first to put on belly fat which is supposed to be unhealthy. Oh, and I exercise daily. Bebe, Try using cronometer.com to track your calories, don’t be afraid of starches, and back off on any oil, avocado, and nuts. Yes, a type of intermittent fasting – skipping breakfast- was linked to obesity in Asians. Bebe, my husband and I have been vegetarian for 10 years (I’ve been one for about 47 years, but we’ve been married for 10 years), and we each lost weight by practicing portion control and making healthier choices. So, we had reached healthy weights. But, when we transitioned to plant based whole foods a few years ago, we each lost more weight without meaning to: I lost about 6 lbs, and he lost about 15 lbs. I marvel at his lean physique; he’s like a whole new man. And we aren’t young: 68 and 76. But we’re not vegan: there are too many foods that are vegan and junk: think sodas, chips, candies, cookies, cakes, pizzas, faux meats and other animal product replacements, processed “vegan” dishes, etc. We don’t eat any of that. Our emphasis is whole foods, which we “process” — prepare and cook — at home. 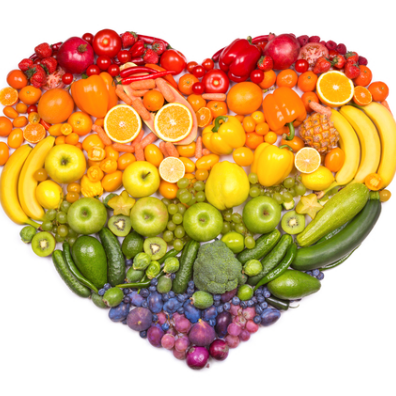 Veggies and fruit, legumes and whole foods, nuts and seeds in moderation. So, plant based whole foods. Home cooked meals. We love our food! The research on fasting is ambivalent. It has an undeserved health halo, in my opinion, which I will support with studies below. "To date there are only 2 studies evaluating the habit of regularly skipping breakfast in relation to CVD. Results from a cohort study showed a 14%, 18%, and 36% greater risks for total CVD, total stroke, and hemorrhage, respectively, among those skipping breakfast (13). In a second study, participants who reported skipping breakfast had on average 27% higher risk of coronary heart disease; however, the risk was mediated by BMI and health conditions (12). To investigate whether the observed association in our study could be simply explained by the higher prevalence of CVD risk factors among SBF participants, we performed a multivariable analysis controlling for waist circumference, hypertension, diabetes, dyslipidemia, and smoking. After adjusting for these conditions, as well as the exclusion of obese participants in a sensitivity analysis (data not shown), the risk estimates decreased but remained significant, suggesting that indeed skipping breakfast could be 1 of the risk factors clustering around the early onset and development of atherosclerosis." Here is another crossover study about the deleterious effects of omitting breakfast on insulin sensitivity and fasting lipid profiles in healthy lean women. "We found 11.3%, 30%, and 16.3% of participates had abnormal menstrual pattern three months before, during and three months after Ramadan, respectively. In participates who fast more than 15 days, menstrual period had significantly more abnormality than participants who fast less than 15 days. Considering our results we demonstrated that menstrual abnormalities during Ramadan month reach to their peak and three months after Ramadan reduce but do not return to previous condition." And last but not least here is a study demonstrating people who successfully calorie restrict for longevity, actually end up with slightly shorter telomeres than the average population. A cursory google search will also show many examples of people whose cholesterol rose while fasting. I first looked into it, because I developed angina while intermittent fasting, even as a long term vegan. I have never had angina when not fasting, whether I eat a high fat or not. It does seem like eating in a 12 hr window could be beneficial, but that can hardly be considered fasting since that is the amount of time it takes an average person to burn through their stored glycogen, so they are not entering ketosis. I naturally eat in a 12 hr window every day, just by eating when I am hungry. It is my hypotheses that people who do not have markers of metabolic disorder or a brain reward center dysregulated by hyper-palatable foods, naturally fall into that eating pattern, but that would need to be tested. The problem with the fasting hype is there are probably forms of it that are healthy, but those get conflated in the public with all forms of fasting for all people all the time. Hence the undeserved health halo. There are also many populations that should not fast cancer patients who need to keep their weight up, pregnant women, people with a history of disordered eating, children and adolescents, just to state a few examples. didn't get past this part of your post but the first thing that popped into my mind when reading about the increase in serum cholesterol etc. was that after a period of fasting the body converts from being fueled by glucose (converted from food in the gut) to being fueled by ketones. Ketones are derived from stored body fat being used and converted quickly in the liver as fuel. If you release that much fat in the energy producing cycle, I'm guessing that is where the (temporary) rise in cholesterol in the bloodstream comes from. I also suspect that once the fast is over, cholesterol numbers get back as they were before… or even better. Please read the rest of my comment. It was long for a reason. The question of whether fasting is healthy or not is much more complex than it has been portrayed. I found dozens of studies demonstrating harmful effects from fasting, and that was just from a few hours of research. Even the positively slanted studies show some problematic outcomes, like increases in noradrenaline. Combine fasting with butter/coconut oil coffee or HIIT, which is also trendy, and it could end up killing people totally unnecessarily. Because all the potential benefits of fasting can be attained from a wfpbd diet. Fasting research is confounded by the sick population problem. If most people are eating the worst food possible most of the time, than not eating is probably healthier. But it doesn’t logically follow that not eating is therefore healthier that eating the healthiest foods which have their own demonstrated mechanistic efficacy. The Christmas study was from Sweden, where Christmas is celebrated on Christmas Eve. I found dozens of studies demonstrating harmful effects from fasting, and that was just from a few hours of research. Even the positively slanted studies show some problematic outcomes, like increases in noradrenaline. In reading your response I get the notion that you are anti-fasting and are posting studies that back you up. You even call studies that are pro fasting as being slanted. That does not sound like a lack of bias. And your Christmas Eve warning sounds like is addressing those who feast on Christmas Eve rather than those like me who f_ast on holidays. Forgive me for saying so but I think your anti-fasting posts are alarming. I think it is a subject someone who is more open minded should comment on. Yes, there are people who are not well enough schooled in fasting that should only perform a fast under a fast-knowledgeable doctor or health professional. But if all fasting were thrown under the bus then someone like me may never have done one… and that would have spelled catastrophe for my health span. Dr. Greger is about to do a series on fasting (Intermittent I think.) I can tell you in advance he is going to lean toward WFPB instead of fasting of any kind. In his videos he will vaguely refer to any positives in a short rapid-fire almost unintelligible, dismissive mention. No problem… he is “selling” a lifestyle, and one that for many people has been a lifesaver. And maybe tee-totaling WFPB followers shouldn’t fast. I don’t know and am curious to know if there have been studies for those on a WFPB diet who also fast. I suspect if we could go back thousands of years we could find those that do… ’cause fasting has been a thing since the beginning of humanity. Thanks for the links. Very interesting. I too would like to think that fasting is unhealthful. In my case, because I don’t enjoy it and don’t do it. Doing without food is one thing, but doing without a morning black coffee/tea is a bridge too far to me. However, I find the evidence that fasting is healthful to be uncomfortably strong. The studies you posted to suggest that fasting may be unhealthful weren’t altogether convincing to me. In the first one, it seems that increased cholesterol levels are a natural consequence of (rapid) weight loss due to starvation/fasting. As fat tissue is broken down during weight loss to supply energy, tissue cholesterol is dumped into the blood stream increasing serum cholsterol levels. Google lipolysis for more details. This phonomenon has been known for a long time and was dubbed ‘starvation hyperlipidemia’ almost 100 years ago. However, it may not occur in time restricted feeding, intermittent fasting or very low calorie diets. appears to deliver lower cholesterol levels not higher. Re your second link about skipping breakfast, most of those who did so were male and current smokers. They were also more likely to be overweight or obese, eat red and processed meat and drink alcohol. Not surprising then perhaps that this group experienced higher rates of cardiovascular disease. it is unclear how well the researchers were able to adjust for these factors. How does this compare with the previous studies shown about vegan and vegetarians having a higher metabolic rate, leading to a theory for their lower BMI? The study with vegetarians versus non-vegetarians, I thought the vegeterians had lower cholesterol and higher metabolism than non-vegetarians. I am genuinely confused and suspect that it will be like curing cancer with Keto versus WFPB using different mechanisms or something. Skipping breakfast was linked to cancer and obesity in Asians and yet Keto dieters and Dr Fung use it for healing from Cancer and for losing weight and Dr Longo said that 12 hours is good too many hours is bad. Water fasting can heal people from Diabetes, but Intermittent Fasting can cause it to be more likely to get Diabetes. I used fasting for my dog for Cancer and keep him eating 12 hours apart, but I am afraid to hear that my father is doing Keto and skipping breakfast, but he has lost weight and is down to a normal weight for the first time in years and he is elderly. I can’t do the logic yet, but I have learned to just keep putting both sides up and not choose. I know Thomas Seyfried did some studies on the benefit of calorie restriction, but Dr Fung did a video that calorie restriction messing up the metabolism caused people who used that way of dieting to gain all their weight back, plus some, I think. So that is another warring concept. Right now, I have those as worth it to use for Cancer, but not worth it for weight loss and possibly dangerous for the issue of Diabetes. Didn’t decades of low calorie diets already cause people to fail at dieting? Feels like I crossed the low calorie concept off 20 years ago because of rebound weight gain. Permanent calorie reduction was linked to longevity with the Blue Zones and animals. Calorie reduction was a total bust for losing weight because the metabolism shuts down, plus people start getting hungry when they have lost 10% of their body weight and then when people start eating more they gain weight and are more prone to get Diabetes. The question becomes if they can do it for the rest of their lives. The Blue Zones stop eating when they aren’t hungry versus when they are full. Perhaps if you are one of the people who eat past their stretch receptors, calorie reduction will set you up for a fail, but if you are a highly disciplined person, it might help…. But do they know for sure that it is the calorie restriction versus not having as high IGF-1 or as much saturated fat and sugar and sodium, etc? I have to start looking up topics like metabolism and circulation maybe. Things like cortisol because meat eaters have something slowing their metabolism? And it isn’t vegetables and vegetarians have something speeding theirs up in spite of vegetable intake. Blocked arteries and metabolism? I don’t know the list of silly questions yet, but I am genuinely confused and assume the competing Logic will come together if I find a triangulating concept. Exercise versus meditation would be a contrast which opposite behaviors can both result in benefit. Do Keto meat eaters who do Dr Bergs 10 servings of vegetables per day having their metabolism decrease? Or increase? Did they check? Do the vegans have lower or higher metabolisms than the vegetarians? If I eat a piece of fish after a year of mostly vegan does my metabolism reset? Vegan is busily working at slowing down my metabolism and my Planet Fitness membership is secretly raising it back up at every step???? Okay, I have illustrated how very confused I tend to be. Researchers, can we have another one on this topic? Going back to exercise, it raises metabolism, but is still good for longevity? Don’t exercise too much without increasing your vegetable servings so your metabolism dossnt shoot up? We can just eat out vegetables and not do calorie restriction? Or maybe just not exercise and eat our vegetables? Or just intermittent fast forever? Deb, don’t know if your dog is a bull dog but you certainly are: that is, once you sink your teeth into a subject you shake it from side to side until you tear it apart. I for one enjoy your duel with yourself trying to reach an answer through pertinent questions. I know there are some who, instead of just skipping over something they find disinteresting, demand conformity. Please accept that they are simply square pegs looking for a square hole, not realizing the amazement one can experience once the fitting of the round peg in a square hole is achieved. Please don’t dominate the comments section with so many posts. I don’t think that there is any good evidence that keto diets cure cancer. Whatever the internet/YouTube hype. There are some test tube and animal studies that suggest it might help in some cases .However, there are also studies that suggest that it promotes tumour growth in certain types of cancer. “not drinking heavily”, is more tired evidence of an unscientific pro-alcohol bias. It applies to water as well, craig. I found just the opposite, after fasting for a week and now doing intermittent fasting while still eating WFPB, the pounds are finally dropping somewhat. Congratulations on the fasting (and weight loss). One of the best things you can be doing for yourself. Ironically there are other factors, such as activation of brown fat, acute exposure to heat and cold, consumption of capsaicin and arginine, among other things, as well as exercise, that INCREASE metabolic rate and are also associated with increased longevity. 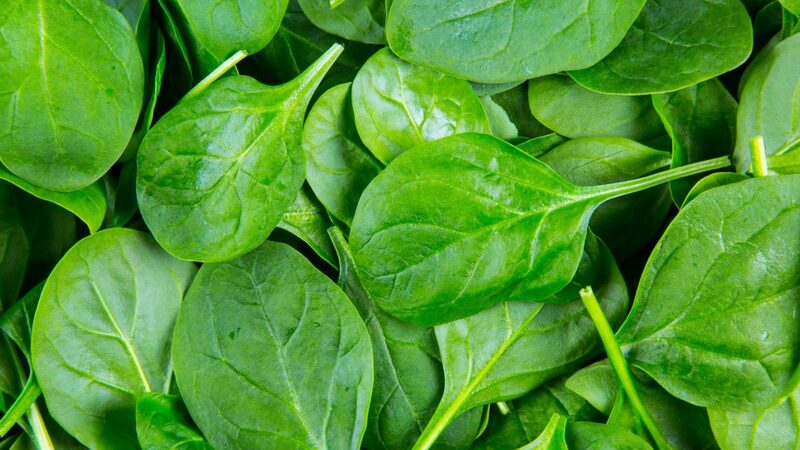 Those prone to calcium kidney stones may want to limit their intake of spinach. I eat a WFPB diet but have had bouts with stones twice. The most recent bout occurred the day after consuming spinach. Spinach is a very high oxalate food. My understanding is that most kidney stones are calcium oxalate. I think many people who find Dr. Greger’s information useful will find equal value in Dr. Rhonda Patrick’s youtube videos. Not a plug but rather a suggestion for anyone interested in learning from a brilliant young scientist. I’m a little bit confused, as I always thought that a higher rate of metabolism was desirable, as it helps to burn calories. That’s why I thought building muscle mass and doing high-intensity aerobic exercise was good for one’s health: both help to increase metabolism. And don’t overweight and a slow metabolism contribute to metabolic syndrome? Yes, I am longing for a bigger picture of how it works, too. For instance I have read that fats lower metabolism and that broccoli raises it. I looked the wider topic and they were talking mitochondria and other topics and I don’t understand how to fold this topic into those topics yet. Oxygen free radicals is one and yet what struck me immediately is that exercise and hyperbaric oxygen are two things used for Cancer to raise oxygen levels. Oxygen is good and so are antioxidants. Feels like it is eventually going to be the ph type of logic which we are missing. We need acidic poop and alkaline pee. How to achieve metabolic balance? I suddenly started thinking about metabolism and is it the things like glycolysis generating ATP to run the body? So exercise would increase metabolism because of muscle versus fat? Eating carbs would work by the mechanism called the Krebs Cycle versus lower it by NO? Boy, I studied Glycolysis and the Kreb Cycle and it bounces around in my brain like the electron transport chain, but I don’t have the real scientific concepts. I have a tug of war and exercise is on one side and aging on the other. I’m seeing a lot of comments about how this slowing of the metabolism by up to 100 calories/day is a bad thing… and I think that misses a little bit of the practical context. If you are eating enough greens to get the effect talked about in the studies, you are displacing a lot more than that amount of calories from your diet. Greens are nearly a no-calorie food. I can’t find it at the moment but Dr. Greger definitely has a video on how eating a salad before a meal (with no dairy/meat/oils) reduces the amount of calories consumed at the meal total (200 or so calories?) even when study participants were told to eat as much as they wanted. Bottom line, eating your greens won’t make you fat and will probably aid weight loss. hi Ryan Hallet, I hear what you are saying, but that isn’t the way it works in real life. It is not about ‘eat this salad or go for the plate of spagetti’. As postmenopausal woman, I find my daily fare shrinking (wfpb, lots of greens) in order to not gain weight. As Dr J put it, ” we have to run faster to stay in the same race” Even with applying some of Psych MD’s wisdom to accelerate metabolism with lots of exercise , building an embarrassing amount of muscle, it seems that the amount of calories required to maintain this bodyweight is ever shrinking. Now to be told that one of my diet mainstays, ie spinach and lettuce is actually slowing the engine room fires is not good news. However, terrific points made in discussion today in this thread! I love it when a topic churns up material to research and read! If you want to multiply the effects of nitrate of anything nitro add olive oil to the mix (salad). It will create nitro-fatty acids. It will also boost your testosterone (for men) and you will get the extra boost. The best fatty acids that you can get do not come from oils but from the fermentation of fibers by your microbiome. Yeah. Then tell Barb she is fiber deficient. Cool. The only embarrassing muscles that you can get will not come from physical exercises but from steroids which one hopes you won’t ingest in order to get muscles. Thanks ab, your post above about wanting slower metabolism at the cellular level made sense to me though I am no scientist. Decades ago we learned that exercising and attaining a higher amount of muscle was a way to ‘rev’ up metabolim and I have operated on that principle since. I don’t take any drugs or protein shakes.. nothing. I get chided a bit about my muscles. Men in my spin and yoga classes seem to have less muscle (i am self conscious about this) … but I swim and run too. All that aside, your comment about fiber is important to think about. I truly believe that if we get the fiber part of it right (from food) then we have the foundation to health. Yes, fiber, from whole plant foods, is the only real macronutriment that one needs. All the other macronutriments (proteins, lipids, glucids) derive from a correct supply in fibers from real foods. The various forms of plant foods are just different appealing ways to get fibers, in different forms: sweet, bitter, salty, raw, cooked, etc. The only thing that matters for the microbiome is the fiber they need in order to thrive, and which then keep one’s body nourished, balanced and well functioning as a consequence.